Yesterday was the big end-of-school-year/beginning-of-summer/graduating-kids bash at our house. 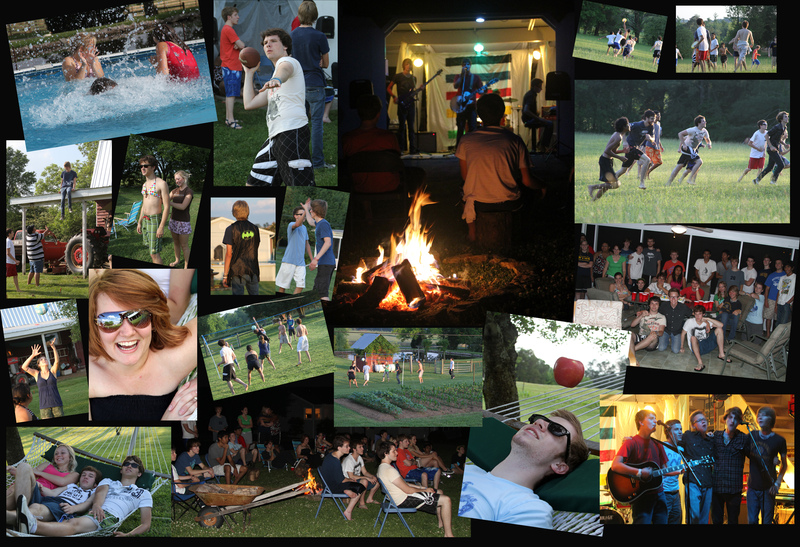 The big group of friends … volleyball, swimming, ultimate frisbee, barbeque, bonfire and The Night Shines concert in the barn. A lot of these kids have become like family over the past few years, and it was great to just kick back and have some fun. It turned into a rather late night around the bonfire; the music and conversation didn’t want to end.